There are items of clothing that come with so much cultural and personal meaning attached that they bring up more memories than a scrapbook. In this particular case, it is a fabric rather than a garment: corduroy, cord du roi, ‘the cord of the King’ — according to the disputed pseudo-translation. Although the name of the fabric actually derives from ‘cord’ and ‘duroy’, the latter being a woolen cloth made in England in the 18th century, corduroy has been so popular with all stratas of society that it is worn by aristocracy and screen royalty alike, somewhat retaining the mythical regal status. The picture above is of fifteen-year-old David Bowie, taken as a promotional photo for The Kon-rads, the band he played in at the time. Bowie is wearing a bright-green corduroy suit, a Teddy Boy hairstyle (affectionately known as ‘jelly roll’), and a slight smirk that makes the fifteen-year-old inside me go ‘Hnnng…’ and lower her eyes. My own corduroy history starts at thirteen, with a dark-green military style skirt that was asymmetrical, therefore exciting, and had all the pockets in the world. Depending on your experience, reader, you might understand my joy about the pockets, since women’s clothes routinely have none and the struggle is real. That skirt was so well-equipped with storage space that when my backpack was stolen it mattered relatively little, as my wallet, my keys, and my travel card were all safe and secure in the various pockets of my corduroy skirt. Shame about the schoolbooks though. Camel-coloured flared trousers were my next corduroy garment. Put simply, I loved them. I would pair them with dark-red platform boots, an azure corduroy (sic!) shirt, and — on the days when I felt particularly insecure about my posterior, which, at fifteen, was most of the time — with a short denim dress. The outfits felt stylish and practical and were approved by my immediate family, whose fashion tastes had been largely formed in the 1970s — oh, my gods, that explains everything! On the left is a picture of Wes Anderson, taken by Scott Schuman in Paris in 2008. On the right is a still shot from Fantastic Mr. Fox directed by Wes Anderson and released in 2009. Life imitates art imitates life. After a skirt, a shirt, and a pair of trousers, it was time for a corduroy blazer. Mine was lime green with delicate pink lining and matching pink stitching. It was Italian and took my breath away. Thus, at eighteen, after a month of occasional visits to the clothes shop to check that the blazer was still there, to sigh over it and stroke its sleeves (I shall refer to this period as ‘courting’), I finally had what I wanted. Funnily enough, all of that occurred before I went to university and in no relation to the main corduroy context: that of academia. The fabric being warm and durable, corduroy had initially been used for hunting outfits, servants’ garments, sporty and military wear. Mass-produced during the Victorian era, corduroy becomes the go-to cloth not just for country gentlemen and farmers, but for urban workers, students, and artists, too. In fact, one of the earliest images of a man in a corduroy suit is that of Swedish painter Nils Kreuger, made by Richard Bergh in 1883. By the 1960s corduroy still has some of the anti-establishment, working-class connotations, which encouraged rebellious students and their professors to dress in the ‘velvet of the poor’. On the other hand, varsity jackets had been continuously made from corduroy, as had been British country style clothing, which elevated the material in comparison to, for example, denim, a ubiquitously working-class fabric. Clad in cord trousers, one could be practical, stylish, snobbish, and liberal-minded all at once — which, of course, made it perfect for academical circles. 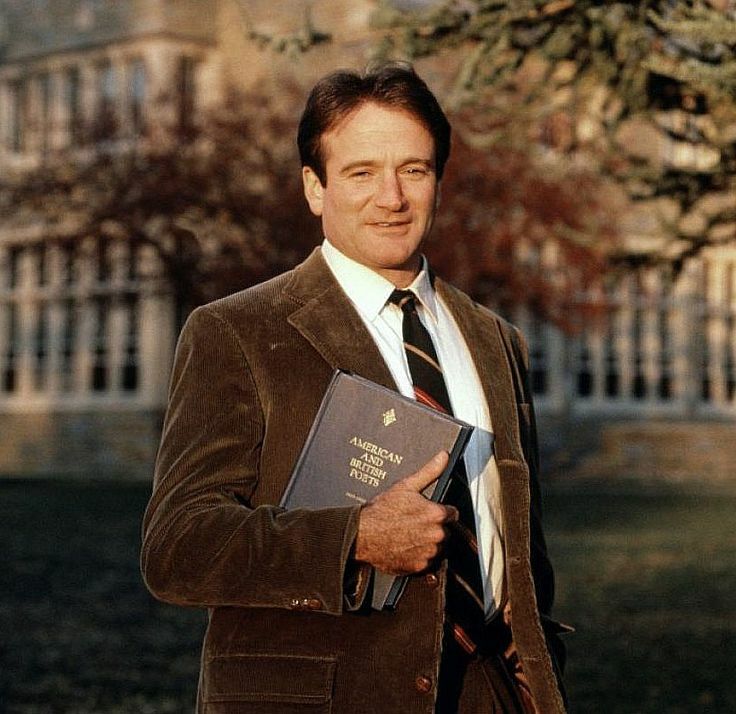 Corduroy has served as a shorthand for intellectual employment in cinema, from Dustin Hoffman’s graduate in a blazer (The Graduate, 1967) to Robert Redford’s reporter in a casual-style office jacket (All the President’s Men, 1976) to Donald Sutherland’s professor in a three-piece suit (Animal House, 1978) and Robin Williams in a rib velvet blazer in his memorable part as an English teacher (Dead Poets’ Society, 1989). On the left: Annabella wearing a silk corduroy suit in burgundy, ca. 1940s. 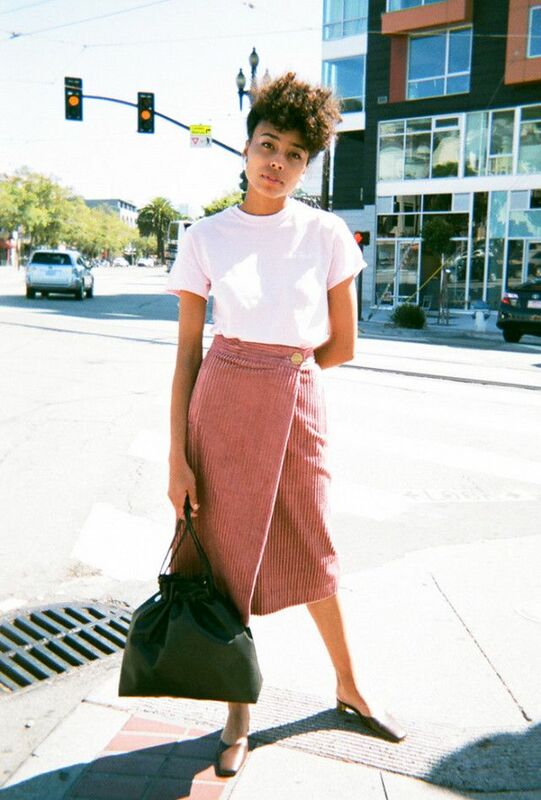 In the middle: street style, 2016. On the right: Alexa Chung during London Fashion Week, 2015. 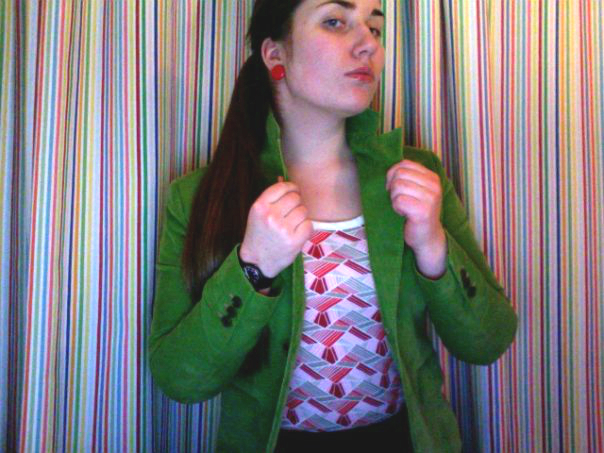 Being an English major who ended up doing Creative Writing at Oxford, I wore the sleeves off of my lime blazer. 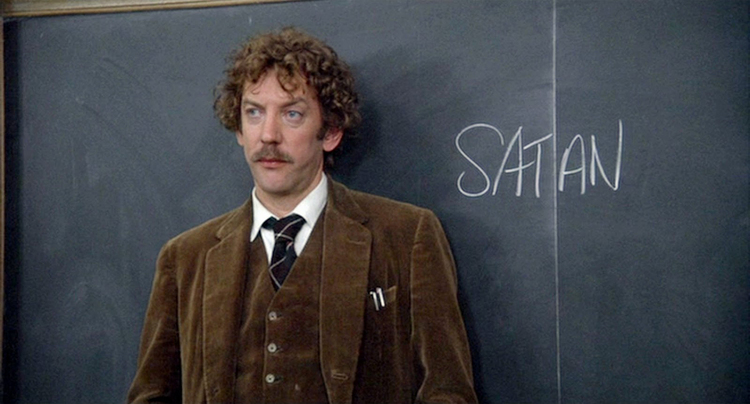 That said, corduroy jackets and suits are not at all reserved to students and office dwellers. Corduroy started out as an alternative to the more expensive and less durable velvet and has served as an extremely practical choice for centuries. That is why children’s clothes are often made from corduroy, and that is why I was encouraged to wear the fabric as a teenager. 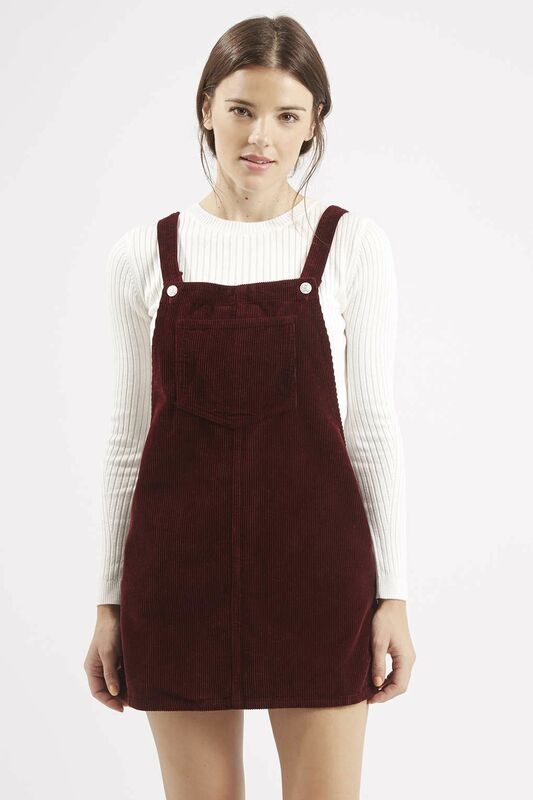 While broad-shouldered blazers and sports jackets have a masculine feel to them, there is a number of classic feminine corduroy designs, from the pinafore dress, recently reproduced by Topshop and gladly worn by Emma Roberts, to all kinds of amazing skirts (Example No. 1, Example No. 2). Although historically the fabric had been used primarily for men’s clothes, and I have had no luck finding any cinematic evidence of women wearing corduroy, there is no gender-specificity about the material. 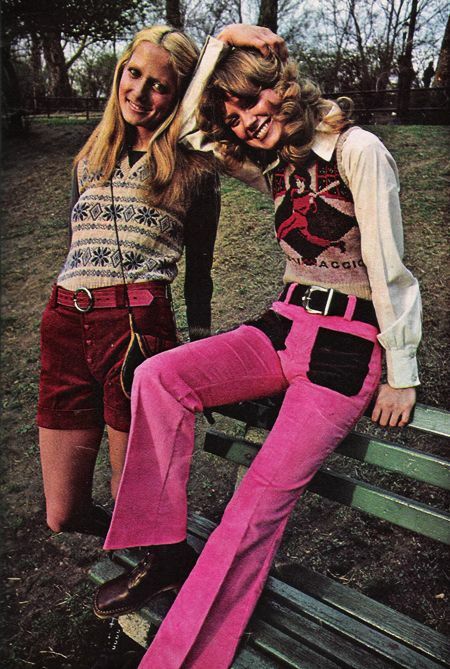 Ladies have been rocking cord since at least the 1970s (as evidenced by this issue of Seventeen, July 1971) and with as much style as gentlemen. The traditional rule is that thicker fabrics are meant for trousers and thinner, pincord corduroy is used for shirts and dresses and is much more adaptable. Also, I am yet to come across a corduroy cap that improves one’s looks. Otherwise, here is a link to Serge Gainsbourg and Bob Dylan in cord, and here is David Hockney et al. ELIJAH WOOD LOVES CORDUROY. 2014. MADWIT / SUPERB CORDUROY!